The domain within your query sequence starts at position 550 and ends at position 886; the E-value for the HECTc domain shown below is 2.37e-194. All catalytic sites are present in this domain. Check the literature (PubMed 22423789 ) for details. 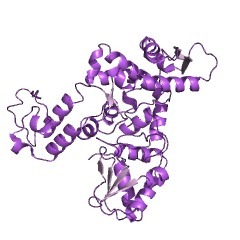 E3 ubiquitin-protein ligases. 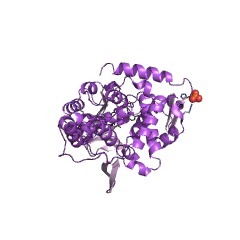 Can bind to E2 enzymes. The HECT (Homologous to the E6-AP Carboxyl Terminus) domain is an around 350 amino acids motif that has been identified in proteins that all belong to a particular E3 ubiquitin-protein ligase family [(PUBMED:7708685)]. 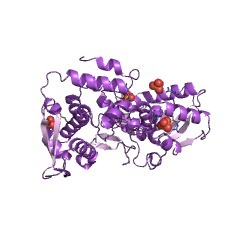 HECT domain containing proteins accept ubiquitin from an E2 ubiquitin-conjugating enzyme in the form of a thioester and then transfer it to lysine side chains of target proteins, and transfers additional ubiquitin molecules to the end of growing ubiquitin chains. 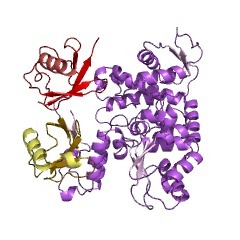 The site of ubiquitin thioester formation is a conserved cysteine residue located in the last 32-36 aa of the HECT domain [(PUBMED:7708685)]. 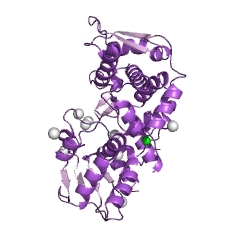 The amino-terminal part of the HECT domain has been involved in E2 binding [(PUBMED:9182527),(PUBMED:9153201)]. 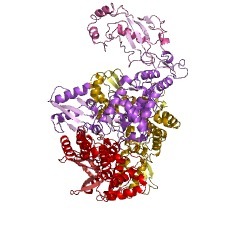 Once linked to ubiquitin, the target proteins are degraded in the 26 S proteasome. There are 23694 HECTc domains in 23671 proteins in SMART's nrdb database. Taxonomic distribution of proteins containing HECTc domain. This tree includes only several representative species. The complete taxonomic breakdown of all proteins with HECTc domain is also avaliable. Click on the protein counts, or double click on taxonomic names to display all proteins containing HECTc domain in the selected taxonomic class. Characterization of human hect domain family members and their interaction with UbcH5 and UbcH7. 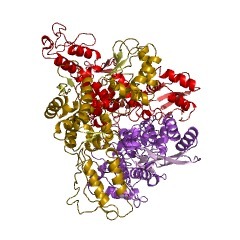 The hect domain protein family was originally identified by sequence similarity of its members to the C-terminal region of E6-AP, an E3 ubiquitin-protein ligase. Since the C terminus of E6-AP mediates thioester complex formation with ubiquitin, a necessary intermediate step in E6-AP-dependent ubiquitination, it was proposed that members of the hect domain family in general have E3 activity. The hect domain is approximately 350 amino acids in length, and we show here that the hect domain of E6-AP is necessary and sufficient for ubiquitin thioester adduct formation. Furthermore, the human genome encodes at least 20 different hect domain proteins, and in further support of the hypothesis that hect domain proteins represent a family of E3s, several of these are shown to form thioester complexes with ubiquitin. In addition, some hect domain proteins interact preferentially with UbcH5, whereas others interact with UbcH7, indicating that human hect domain proteins can be grouped into at least two classes based on their E2 specificity. Since E3s are thought to play a major role in substrate recognition, the presence of a large family of E3s should contribute to ensure the specificity and selectivity of ubiquitin-dependent proteolytic pathways. Subcellular localization and ubiquitin-conjugating enzyme (E2) interactions of mammalian HECT family ubiquitin protein ligases. 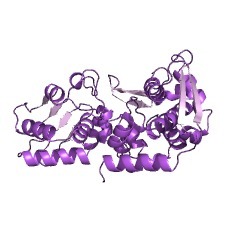 In most instances, the transfer of ubiquitin to target proteins is catalyzed by the action of ubiquitin protein ligases (E3s). 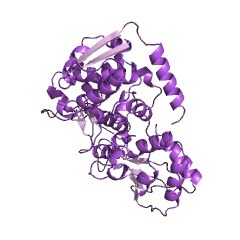 Full-length cDNAs encoding murine E6-associated protein (mE6-AP) as well as Nedd-4, a protein that is homologous to E6-AP in its C terminus, were cloned. Nedd-4 and mouse E6-AP are both enzymatically active E3s and function with members of the UbcH5 family of E2s. Mouse E6-AP, like its human counterpart, ubiquitinates p53 in the presence of human papilloma virus E6 protein, while Nedd-4 does not. 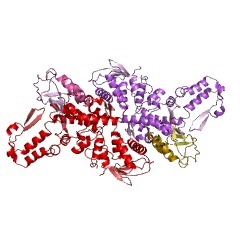 Consistent with its role in p53 ubiquitination, mE6-AP was found both in the nucleus and cytosol, while Nedd-4 was found only in the cytosol. 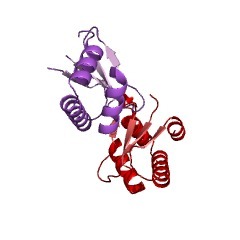 Binding studies implicate a 150-amino acid region that is 40% identical between mE6-AP and Nedd-4 as a binding site for the C-terminal portion of an E2 enzyme (UbcH5B). 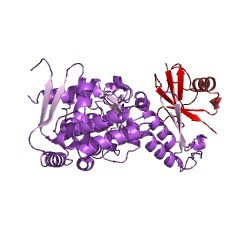 Nedd-4 was determined to have a second nonoverlapping E2 binding site that recognizes the first 67 amino acids of UbcH5B but not the more C-terminal portion of this E2. These findings provide the first demonstration of physical interactions between mammalian E2s and E3s and establish that these interactions occur independently of ubiquitin and an intact E3 catalytic domain. Furthermore, the presence of two E2 binding sites within Nedd-4 suggests models for ubiquitination involving multiple E2 enzymes associated with E3s. Physical interaction between specific E2 and Hect E3 enzymes determines functional cooperativity. 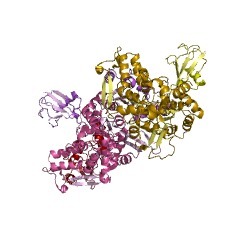 The cellular protein E6AP functions as an E3 ubiquitin protein ligase in the E6-dependent ubiquitination of p53. 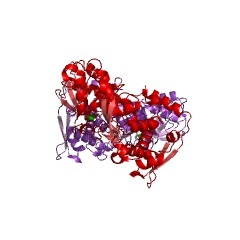 E6AP is a member of a family of functionally related E3 proteins that share a conserved carboxyl-terminal region called the Hect domain. 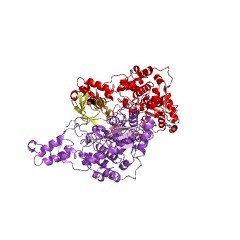 Although several different E2 ubiquitin-conjugating enzymes have been shown to function with E6AP in the E6-dependent ubiquitination of p53 in vitro, the E2s that cooperate with E6AP in the ubiquitination of its normal substrates are presently unknown. 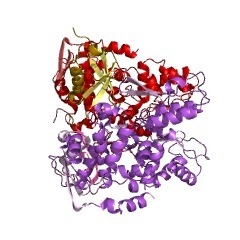 Moreover, the basis of functional cooperativity between specific E2 and Hect E3 proteins has not yet been determined. Here we report the cloning of a new human E2, designated UbcH8, that was identified in a two-hybrid screen through specific interaction with E6AP. 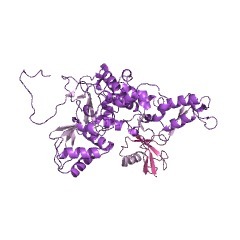 We demonstrate that UbcH7, an E2 closely related to UbcH8, can also bind to E6AP. 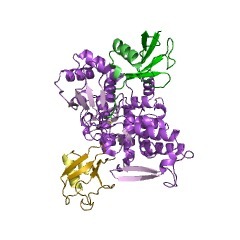 The region of E6AP involved in complex formation with UbcH8 and UbcH7 was mapped to its Hect domain. Furthermore, we show that UbcH5 and UbcH6, two highly homologous E2s that were deficient for interaction with E6AP, could associate efficiently with another Hect-E3 protein, RSP5. Finally, only the E6AP-interacting E2s could function in conjunction with E6AP in the ubiquitination of an E6 independent substrate of E6AP, whereas the noninteracting E2s could not. 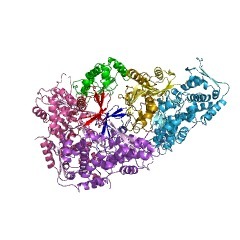 Taken together, these studies demonstrate for the first time complex formation between specific human E2s and the Hect domain family of E3 proteins and suggest that selective physical interaction between E2 and E3 enzymes forms the basis of specificity for functionally distinct E2:E3 combinations. Cloning of human ubiquitin-conjugating enzymes UbcH6 and UbcH7 (E2-F1) and characterization of their interaction with E6-AP and RSP5. E6-AP, a 100-kDa cellular protein, was originally identified through its interaction with the E6 protein of the oncogenic human papillomavirus types 16 and 18. The complex of E6-AP and E6 specifically interacts with p53 and mediates ubiquitination of p53 in concert with the E1 ubiquitin-activating enzyme and the E2 ubiquitin-conjugating enzyme UbcH5. Recent results suggest that E6-AP is representative of a family of putative ubiquitin-protein ligases. Members of this family are characterized by a conserved C-terminal region, termed hect domain. In this paper, we describe the isolation of two human E2s, designated as UbcH6 and UbcH7, that in addition to UbcH5 can interact with E6-AP. UbcH6 is a novel member of an evolutionally conserved subfamily of E2s that includes UbcH5 and Saccharomyces cerevisiae UBC4. Although UbcH7 does not appear to be a member of this subfamily, UbcH7 efficiently substitutes for UbcH5 in E6-AP-dependent ubiquitination. Surprisingly, UbcH6 was only weakly active in this particular assay. In addition, UbcH5 but not UbcH6 or UbcH7 efficiently interacts with the heet protein RSP5. These results indicate that E6-AP can interact with at least two species of E2 and that different hect proteins may interact with different E2s. 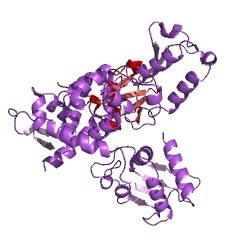 E6-AP is a 100-kDa cellular protein that interacts with the E6 protein of the cancer-associated human papillomavirus types 16 and 18. The E6/E6-AP complex binds to and targets the p53 tumor-suppressor protein for ubiquitin-mediated proteolysis. 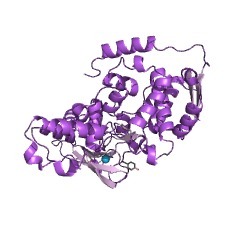 E6-AP is an E3 ubiquitin-protein ligase which accepts ubiquitin from an E2 ubiquitin-conjugating enzyme in the form of a thioester and then directly transfers the ubiquitin to targeted substrates. The amino acid sequence of E6-AP shows similarity to a number of protein sequences over an approximately 350-aa region corresponding to the carboxyl termini of both E6-AP and the E6-AP-related proteins. Of particular note is a conserved cysteine residue within the last 32-34 aa, which in E6-AP is likely to be the site of ubiquitin thioester formation. 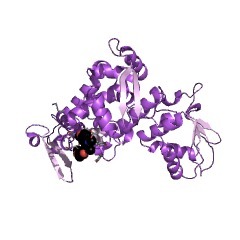 Two of the E6-AP-related proteins, a rat 100-kDa protein and a yeast 95-kDa protein (RSP5), both of previously unknown function, are shown here to form thioesters with ubiquitin. 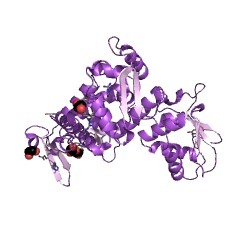 Mutation of the conserved cysteine residue of these proteins destroys their ability to accept ubiquitin. 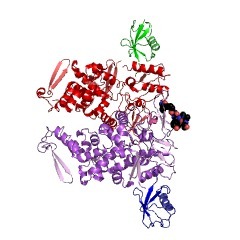 These data strongly suggest that the rat 100-kDa protein and RSP5, as well as the other E6-AP-related proteins, belong to a class of functionally related E3 ubiquitin-protein ligases, defined by a domain homologous to the E6-AP carboxyl terminus (hect domain). This information is based on mapping of SMART genomic protein database to KEGG orthologous groups. Percentage points are related to the number of proteins with HECTc domain which could be assigned to a KEGG orthologous group, and not all proteins containing HECTc domain. Please note that proteins can be included in multiple pathways, ie. the numbers above will not always add up to 100%.